I use this product 2 times a week and so far I've loved it. Keeps my face so super soft after use and takes off so much blackheads it's crazy. 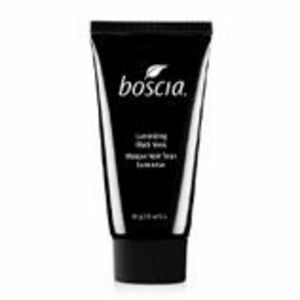 I am absolutely in love with Boscia Luminizing Black Mask. It makes me feel as though I am in a spa every single time that I use it. 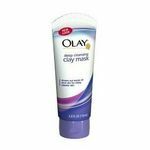 Even though it says that it is a luminizing mask and more for brightening than anything I use it when I have a bad breakout or when I feel that I am about to get a breakout. This mask goes on smoothly and is pure black. Once it dries you have to "peel" it off which to me is a very fun experience. This could be a good or bad thing depending on the person. I can see why it can be very painful for certain people to use that have very sensitive skin but it does not bother me at all. Another downside is the cost of this product. It requires you to put on a decent amount just to apply evenly and with the size of the bottle it would not take too long to run out. Overall this product is simply wonderful and I will be purchasing more when I run out. I can not go without it! I was so excited to try this product. It had great reviews and seemed to really work for most people that tried the product. It doesn't have much of a smell to me which is ok. It's also thick and a little sticky, which I didn't particularly care for. But it dries pretty quickly and peels off with a little work. It hurt peeling off and left my skin stinging/burning for about an hour afterwards. About a day or two after using the product I woke up with about 3-4 cyst like bumps that hurt really bad. I waited a few weeks, until my face cleared back up, and tried the product again. Thinking maybe it was me and not the product. Unfortunately, I got the same freakin' results! I am absolutely livid!! i got this as a deluxe sample from my sephora purchase and on the most part i am quite happy! 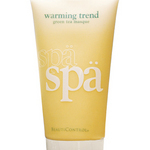 you clean your face, then you apply a generous amount onto your face avoiding your hairline and eyes. make sure it is thick enough (but not too thick or it will never dry) otherwise it will be very hard to peel off. basically make sure you can see your skin through the layer that you put on your face. i always like peeling masks! i've used queen helene's grapeseed extract mask before (which is also peel off) and i never had my eyes water... this boscia one however made me tear up! it was painful. i think i need to keep it farther away from my eyes because it is very strong! on the otherhand, it didn't sting the rest of my face and my face did look clearer the next day. 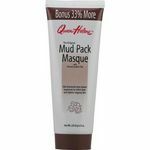 :) the mask pulls out some of the gunk from out of your pores and also takes away the layer of dead skin on the top of your face. i would def. consider repurchasing this! I decided I had to try this mask for myself when I heard of it. I'm a real sucker for products described as giving Luminous skin. The first time I tried the mask I was a little too stingy with the product. Go ahead and really slather it on, taking care to keep it neat along the edges of the hairline. If you do this, the process of peeling off the mask will be much easier. If you have stray bits that don't want to peel off, don't keep rubbing at them. Just dampen a washcloth and it'll take off the remains. I like using this twice a week. My skin is very soft and I feel like I glow. I'm tempted to go without foundation, but I actually rely on the SPF from foundation throughout the day. The only drawback for me is the price, and that's the reason I gave only 4 stars!